Members of the Legislative Assembly of Ontario joined members of Ontario Craft Brewers® to celebrate the great taste and success of the Ontario Craft Beer industry. The annual tasting event held at the Queen’s Park Legislature was hosted by Hon. Dave Levac, Speaker of the Legislative Assembly of Ontario in cooperation with Ontario Craft Brewers. Ontario MPPs and Queen’s Park staffers tasted a selection of craft beers from breweries across the province and cast their votes in favour of the craft beers to be highlighted at the Legislative Assembly for 2012-2013. Refreshing Ales: Neustadt Scottish Ale, Neustadt Springs Brewery, Ltd.
Amber Lagers, Ales & Honey Beer: TIE:Cameron's Auburn Ale, Cameron's Brewing Company and Old Credit Amber Ale, Old Credit Brewing Company, Ltd.
Twenty Ontario Craft Breweries poured their hearts out for well over 350 government members and staff who paired their samples with delicious hors d’oeuvres and crudités featuring Ontario ingredients supplied by Saffron Catering and Ontario cheeses served by Three Blind Mice. 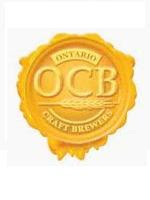 The new beers, to be highlighted in the Legislative Dining Room and at other Queen’s Park venues, are brewed in local communities throughout the province, including: Barrie (Flying Monkeys Craft Brewery), Baysville (Lake of Bays Brewing Co.), Bracebridge (Muskoka Cottage Brewery), Burlington (Nickel Brook Brewing Co.), Cambridge (Grand River Brewing), Etobicoke (Black Oak Brewing Co. & Great Lakes Brewery), Guelph (F&M Brewery & Wellington Brewery), Port Credit (Old Credit Brewing Co. Ltd.), Neustadt (Neustadt Springs Brewery), Niagara-on-the-Lake (Niagara College Teaching Brewery), Nobleton (King Brewery), Oakville (Cameron’s Brewing Co.), Picton (Barley Days Brewery), St. Thomas (Railway City Brewing), Toronto (Amsterdam Brewery, Mill Street Brewery, Steamwhistle Brewing) and Van Kleek Hill (Beau’s All Natural Brewing Co.).